Elegant, high quality Music Cabinet with sheet music drawers made in Hamilton, Ohio USA by GRK Manufacturing, whose history of making high end music furniture began in 1915. 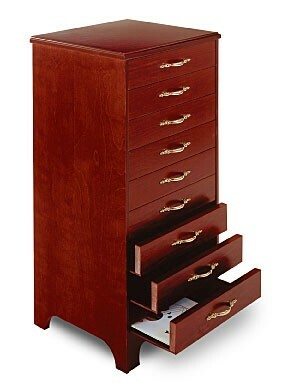 Available with your choice of wood finish color and polish. 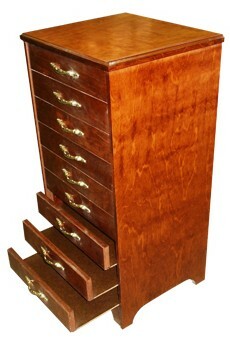 Features 9 drawers with brass plated handles.